AFL-CIO to Beshear: Are You Nuts? 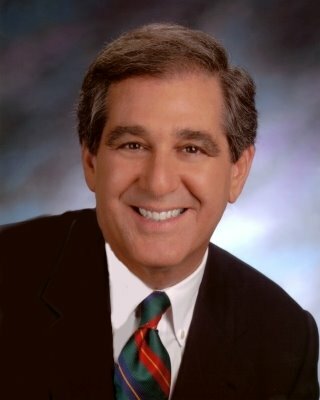 Many times in the past here on The Valley Report as well as privately among friends, I have stated my long-held belief that Louisville Mayor Jerry Abramson would not seek another term. The reasons were often varied and occasionally complicated, yet I remain confident in my assessment of the situation. I even went as far as to make a large cash wager on the issue and expect to collect a rather handsome amount when this debacle is over. We have since learned that Governor Beshear, in one of the heaviest and most terrible mistakes of his soon-to-be-over political career, is seeking to add Abramson to his ticket as the candidate for Lt. Governor. Many good people that follow these things closely are upset over the idea. In today's Courier Journal, Joe Gerth reports that Kentucky AFL-CIO President Bill Londrigan has gone on record opposing the addition of Abramson as a running mate. In the article, Londrigan said, "Mayor Abramson has established a long record of antipathy towards organized labor, both during his tenure as Mayor of Louisville as well as the merged Metro Government." Truer words were never spoken. Naturally, one of the mayor's spokespersons squawked about how Jerry is a friend of the working man and how he hadn't made any decisions about his future. Those are two lies told right in a row. Not only is this likely to destroy the Democrats' chance of retaining the Governor's Mansion in 2011, it also appears to be a foregone conclusion. People in the know in and around Frankfort have stated the Beshear/Abramson team is a "done deal". Let me know what you think about a Beshear/Abramson ticket. I really want to hear what people have to say about this. When I was a kid, the word "crippled" was used to describe the handicapped, "Oriental" meant Asian and Latinos were called "Chicanos" . The word "Midget" was followed by "Dwarf" and is now currently "Little People". A group of "Little People", after allowing themselves to be totally exploited by the bums that run the tawdry and desperate reality-TV business, have now seen fit to appeal to the FCC, calling for a ban on the word "midget" after Joan Rivers said something about it on "Celebrity Apprentice", a show virtually no one in the world watches. Read the story HERE. And, as always, let me know what you think. Is this a BIG deal or SMALL time nonsense? Are these people getting the SHORT end of the stick? - The Courier Journal's political writer Joe Gerth penned a brief but excellent article yesterday in which he laid out possible candidates for Louisville's 2010 race for mayor. Gerth says that by 2010 Abramson may have turned his attention toward the Lt. Governor's position, leaving the mayoral race wide open. I believe Abramson will avoid a statewide race and return to the private sector, where he will reap the rewards of over 20 years of nest-feathering. Either way, Jerry is on his way out of office. So with that behind us, I give you my early pick for Louisville Mayor 2010. Back in March, I wrote about Tyler Allen of 8664. Even if you don't agree with him (I do), you are forced to admit he has quite a grand vision for all of Louisville. He's upbeat in a realistic way. He's personable. He's a natural leader. He's tough and true to the things he believes in. These are the reasons I was pleased to see Allen's name mentioned in Gerth's CJ article as a *possible* candidate. I hope Tyler Allen gets in the ring. Our city will be better for it. - Reminder: The 9 year old Prairie Village All Star Team will begin playing districts soon. You can help support them by eating dinner at Beef O'Brady's on Valley Station Road Monday July 6 from 4PM to 8PM. Rick Totten, the restaurant owner, says that he wants to help the players who will be representing our community. The restaurant will donate a percentage of all sales from 4PM to 8PM to the 9 year old All-Star Team. All proceeds will help offset the costs associated with the All-Star Games.